Many people feel unhappy or sad at certain times. Depression is a condition that causes a person to feel sad or miserable most of the time. Depression is a common condition that will affect many people at some point in their life. Depression is more than just feeling sad, it can affect a person’s physical and mental health. Some cases can be so severe that it interferes with a person’s ability to carry out daily activities. While depression can be a challenging condition to overcome, there is a range of treatments and support services available to help people recover. The exact cause of depression is not known. It is thought to occur because of changes in the level of certain chemicals in the brain, such as serotonin and dopamine, which affect mood. Having other long-term medical conditions, such as cancer, diabetes, Alzheimer’s disease or heart disease. Major depression is sometimes also called clinical depression or major depressive disorder. People with major depression can experience both physical and mental symptoms. This can include a low mood and low self-esteem and a loss of interest in normally enjoyable activities. Melancholic depression is a severe type of depression. A person with this type of depression will typically not find any enjoyment in usual activities and may experience physical signs, such as moving more slowly and having trouble getting out of bed in the morning. Psychotic depression is a rare type of major depression in which affected people lose touch with reality. People with this type of depression may experience sensations that are not real, such as hallucinations or delusions, which are strong beliefs in things that are clearly not true. Antenatal depression and postnatal depression are types of depression that affect women who are pregnant or who have recently given birth. It is thought that these types of depression arise because of changes in the levels of certain hormones, which can affect mood, during these events. Bipolar disorder is a depressive disorder that causes a person to have extreme mood swings. This generally includes episodes of being depressed and episodes of intense elevated mood, which is known as mania. These episodes usually alternate with periods of normal mood. 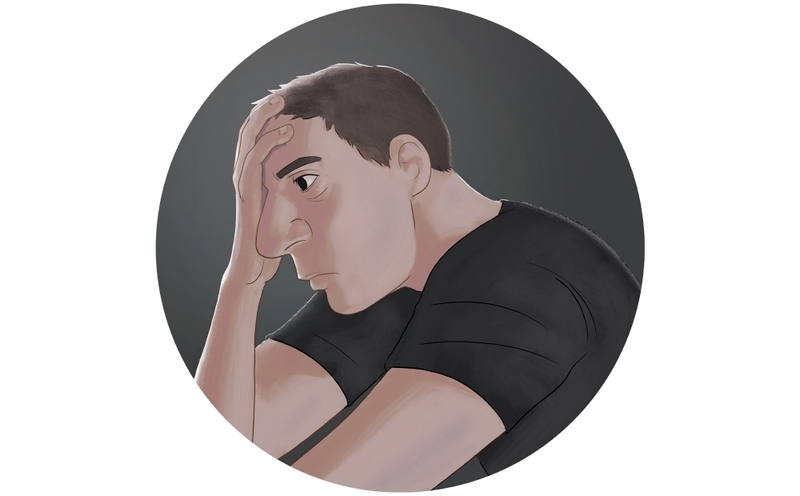 Cyclothymic disorder is a depressive disorder that can develop in early adulthood. It is like a mild version of bipolar disorder, in that people with the condition experience mood swings that range from mild depression to mild mania. Dysthymic disorder is sometimes also called dysthymia. It is a type of depression that lasts a long time, generally longer than two years. Dysthymic disorder has very similar symptoms to major depression, but is usually not as severe. Seasonal affective disorder is a type of depression that is related to the different seasons. Generally a person with this type of depression will experience periods of depression or mania that may begin and end in a certain season. In seasonal affective disorder, the winter months are generally associated with depression, which goes away when winter is over. This condition is more common in countries that have very short days in winter and is thought to be related to the amount of sunlight a person is exposed to. There are lots of different signs and symptoms of depression. The main symptom of depression is feeling sad and miserable most of the time. If someone has depression, they may also experience some other physical or behavioural symptoms, or have certain thoughts and feelings. Symptoms of depression can include social withdrawal, trouble concentrating and constant irritability. A person with depression may feel like they are a failure, or that life is not worth living. They may also lack confidence, have difficulty making decisions or experience feelings of disappointment or being overwhelmed. In some people these feelings may be mild, while in others they may be very severe and cause a person to have difficulty carrying out everyday tasks. To diagnose depression, a doctor may ask a person about their symptoms and how they affect their everyday life. The doctor may also order some tests to try to rule out any other medical conditions that could be causing the symptoms. There are many different ways to treat depression. Treatment may involve a combination of medication, psychotherapy and self-care treatments. 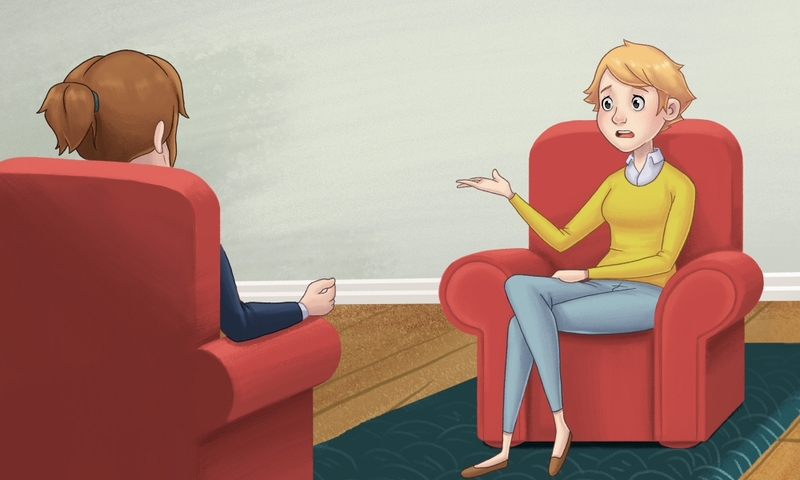 Psychotherapy is sometimes referred to a ‘talking therapy’ and describes the process of treating a mental illness by helping people to understand their condition and manage their symptoms. If someone has depression, meeting regularly with a therapist to discuss their thoughts and feelings, and any problems they may be having may help them manage their condition. A common type of psychotherapy that is used to help manage depression is called cognitive behaviour therapy. People with depression tend to have negative feelings about themselves. Cognitive behaviour therapy can teach people affected by depression how to think more positively about themselves and their situation. Psychotherapy can help with managing depression. Noradrenalin reuptake inhibitors, such as reboxetine. These medications generally need to be taken for at least two weeks before any improvement in symptoms is seen. Medication may also need to be continued for a time even after the symptoms have gone, to prevent them from coming back. When stopping antidepressant medication, the dose usually needs to be reduced gradually over time, in consultation with a doctor, to prevent any withdrawal responses. As with most medications, some people may experience some side effects when taking antidepressants. Some common side effects include nausea, dizziness, tiredness and sexual dysfunction. Some antidepressants can have more serious side effects if they are taken with certain other medications or herbal remedies or when combined with alcohol. A person's doctor will work with them to find the medication that is best for them. Very rarely, some antidepressants may increase suicidal thoughts and the risk of suicide. The risk is highest in the first weeks after starting antidepressant treatment, or when the dose of antidepressants is changed. If someone experiences suicidal thoughts it is important to contact a doctor immediately. Electroconvulsive therapy is a procedure that is sometimes used to treat very severe cases of depression. This procedure is performed in a hospital, under a general anaesthetic and involves passing electrical pulses through the patient's brain. Depending on their condition, this procedure may be performed a few times a week for several weeks. It can work very quickly to relieve symptoms and improve mood. Some people may experience some short-term memory loss for a few days or weeks after having the treatment. There is some evidence that a medicinal herb, called St John’s wort, can help relieve the symptoms of mild depression. It is important for a person to talk to their doctor before starting to take St John’s wort, as it can interact with other medications, including antidepressants and have serious side effects. There is currently no evidence that St John’s wort is able to reduce the symptoms in severe cases of depression. Self-care treatments are simple things that can be done from home to help manage depression and prevent the symptoms from returning. Self-care treatments may include reducing stress by making time to relax, reducing the amount of alcohol and other drugs consumed and exercising regularly. If it is left untreated, depression can have a serious impact on many aspects of everyday life. Some of the complications of depression include either weight loss or weight gain, relationship problems with family and friends, suicidal thoughts and attempts at suicide or self-harm. With treatment, the outlook for people with depression is generally good. Most people eventually get better and return to their normal daily activities, although some people will experience many episodes of depression in their lives. However, recognising the signs and getting treatment early may help them get better sooner. There is no known way to prevent depression. Taking steps to reduce stress and improve self-confidence may reduce the chance of developing the condition, or prevent a relapse. Recognising the signs and symptoms of depression early and seeking treatment may help prevent symptoms from getting worse. Lifeline. Website: http://www.lifeline.org.au/ Tel: 13 11 14. Kids Helpline. Website: http://www.kidshelp.com.au/ Tel: 1800 55 1800. Beyond Blue. Website: http://www.beyondblue.org.au/ Tel: 1300 22 4636.